Home » Questions » Formula 1 » RC primer for us newbies??? 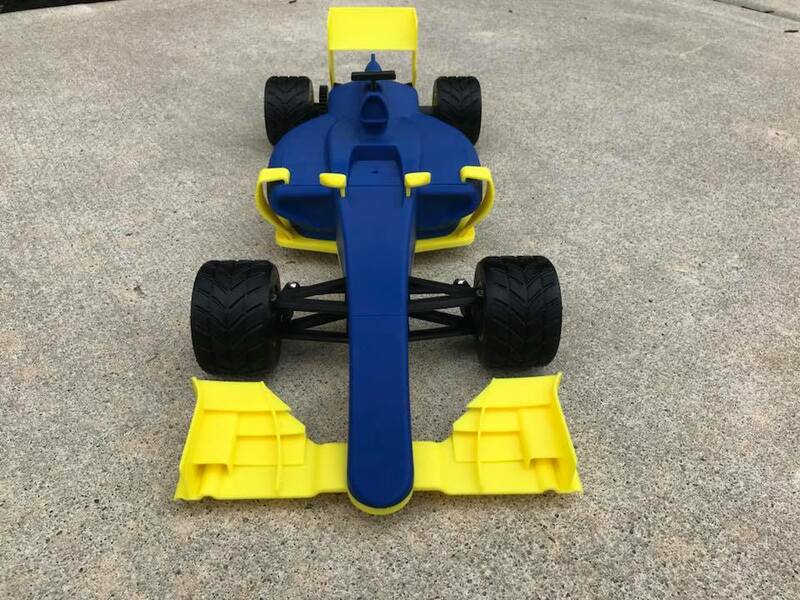 OpenRC Q&A › Category: Formula 1 › RC primer for us newbies??? For those of us who are really new to RC, could you maybe explain the reasoning behind the choices for the F1 Electronics? Like why a 7.4V battery instead of a 11? Why 2S instead of other sizes? Explain the whole C thing (I know the answer to this one but others might not). Why is the ESC rated for 11V but will work on this? And why the XT60 connectors when the battery and charger come with the T-plugs already? Also might be good to explain what you are getting and how they might be useful for the other projects so you aren’t buying multiple controllers, chargers, etc. Otherwise, great project! Printing my 3rd+4th tire now and then just waiting on some of the RC parts to arrive. The list is based on suggestions made by the community for a "lower spec" alternative. More experienced users will have their own preferences on what to get. The choice of a 7.4V over 11V is simply because it´s well enough for a project like the OpenRC F1. However, if you want to reuse the ESC and motor for other projects they can hande 11V if you want to "upgrade". Deans connectors are known to cause glitches that may in a worst case scenario kill you ESC or charger. Of course everyone is free to use whatever they want but i´m switching all "Deans" for XT60. I actually got everything up and running for the first time today! 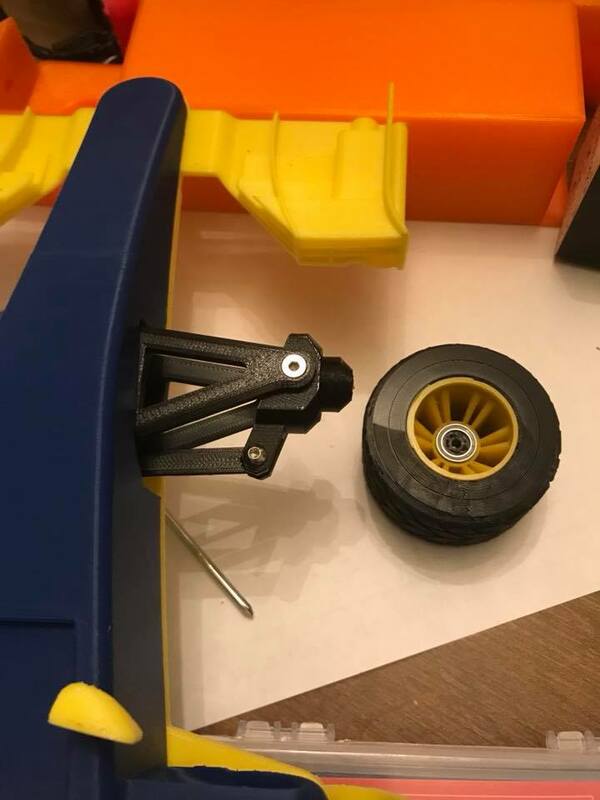 (And promptly nailed a curb and broke the underside of the wing and a couple laps later a front wheel flew off, so I must have hit that too… Must print replacements/spares! I went with a Taranis Q X7 controller (so I can use the same one for the quadcopter later). Took a while to figure out how to configure everything but otherwise, all the electronics worked great! Thanks for the info and such a cool project. I brought the printed (un-RC’ed) model into work earlier in the week and everyone was shocked when I told them it was ALL 3D printed, including the tires. Speaking of which, I was limiting the throttle to 50% and the TPE (85A) rain tires actually worked quite well!